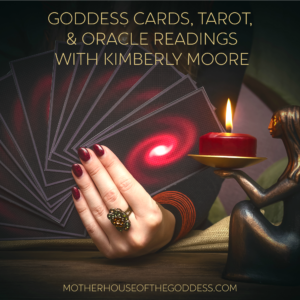 One of the ways that I have found to deepen my relationship with The Goddess, Priestess and Witch is to create ceremony, and ritual as a way to invoke their power, and wisdom, and to bring their living essence into my life. A ceremony is an occasion, or event that has special significance and often involves ritual, which brings the whole affair out of ordinary space, and into sacred, enchanted, and magical space. A ceremony can also be called a ‘rite’, such as in rites of passage. Both ritual and ceremony have a spiritual focus as their intent. 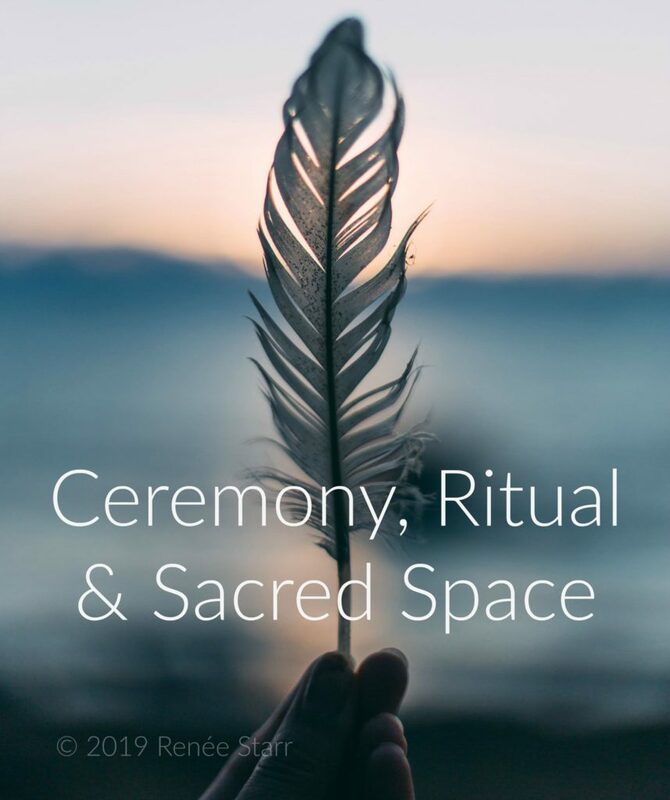 Ceremony can be as simple as lighting a candle, or burning some incense, or it can be quite elaborate, with a ritual bath, special clothing and an altar space dedicated to your. Both ways of performing ceremony are perfectly fine; the choice of which one to choose is based on your own preference, liking, and mood. The history of anointing with essential oil mixtures, along with the smoke from sacred incense, smudging and burning plant and resin material to create sacred space during ritual, magic, worship, prayer, and shamanism is age old. It is thought that anointing with precious, aromatic oils raises our vibration, elevates our spirit and blesses our body. The smoke rising from the incense censor is thought to be traveling towards heaven, and will carry our spells, wishes, intentions and prayers to The Divine. Other ways of performing ritual are sacred bathing, purification, creating an altar, creating sacred space, and calling in the four sacred directions of north, south, east, west, the above, and the below. Anointing means to apply oil during a ceremony or ritual, usually spiritual, or religious in nature. It is a form of raising or elevating your vibration to the Divine. Anointing relies heavily upon scent for it’s effect, as the scent of the plants can have a profound effect upon our emotions, and memory—both collective and personal, and scent can help us to relax, such as when we smell rose, lavender, or chamomile. I often feel deeply relaxed, and very ‘trancey’ when smelling jasmine, and while it is not categorized as altering, I find it to be quite intoxicating. Anointing means to touch with oil. Incense, which has been used for centuries, is meant to appease Spirits, Deities and The Divine…as well as calm and prepare the human soul to experience a sacred event. Incense also cleanses and clears negativity from your immediate environment, and offers blessings as well. Just as I like to call in the directions before performing rituals, I also like to burn incense, and also ‘smudge’ the space that I will be working in. Smudging is a word that comes from the Native cultures of North America, and is used to describe the practice of burning special dried plants, such as sage, cedar, and sweetgrass is for purification, cleansing, and blessing during rituals. Before stepping into the tub, place your hands above the water, and from your heart ask that the water of your bath be blessed with Divine Light, and be made sacred with Divine Essence. Infuse the water of your bath with love from you heart, and from the Divine. As you soak, release your worries, doubts and fears. Let the water soothe you, relax you, and calm you. Imagine that when you emerge from your bath, your body, aura, mind and soul have been washed clean, and are now free of lower energies, and negativity. Imagine that you have been infused with Divine Light, and that your heart is now aligned with the Heart of The Divine. Before performing a ritual, it is very important to cleanse your physical, and energetic field, and also to bless your body. Remember that you will be stepping into a sacred space during the ritual, and your body should match this vibration. To cleanse your physical, and energetic field; light a piece of sage, cedar, or other ceremonial plant, and gently direct the smoke around your altar, and your body as you visualize, and ask the plants for purification. When you are done, place your hands upon your heart and ask for blessings. Offer gratitude for receiving these blessings. Magically speaking, an altar is a special kind of sacred space where you are declaring ‘this is holy, sacred ground, magic will happen here’. Fill your altar with items that symbolize, and represent the intention, devotion or focus that you working with, such as imagery, statuary, a cauldron, flowers, crystals, candles, or anything else that you wish. Drape your altar with a beautiful, colored cloth, place candles, and offering bowls there for burning incense. Know that this altar is a sacred place, a portal, and a doorway where magic, prayer, meditation, discovery and gratitude will occur. A sacred space is an area that you have designated—either physically, or energetically, to be considered consecrated, holy, special and also it is an area that has been blessed, cleansed, purified, energetically elevated, and has been declared separate from, and no longer connected to the mundane, ordinary space around it. 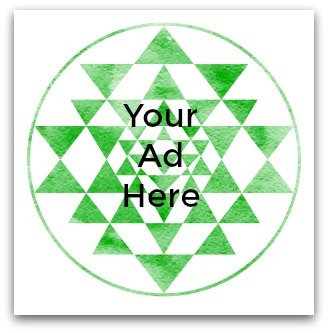 Examples of this are an altar, a magical circle, a healing table or room, and so on. Oftentimes I happen upon naturally occurring sacred space while out in nature, such as under the leafy canopy of what I sense to be a powerful tree, in the midst of tree stumps growing in a circle, or whenever I am in the presence of the ‘middle places’, which are also called the places of in-between and can be a special time of the day, such as sunset or sunrise, twilight and dusk, and also whenever you are standing in between two natural forces, such as where rivers meet the ocean, where two trees stand opposing each other, in between two mountains, and so on. These are great places, and times of power. Places of great power have great power over us, and whenever you find yourself standing where natural energy converges, comes together and where the forces of nature are blending into one, know that this is sacred space. In the sacred middle, we can make good choices, see clearly one side or the other and we can experience stillness, something that is soothing to the part of us that is magical, natural, and ever seeking. I like to think of sacred space as a place of rest for my mind, my body, my spirit, and my soul. Sacred space is sanctuary, haven, refuge and shelter from the everyday world where our mind is overly occupied, our bodies are overly active, and our magical soul is craving ritual, ceremony and the sacredness of something beyond this realm. Within the space of sacredness, prayers are uttered, spirits are invoked, spells are cast and mystical journeys begin. In almost every tribal, indigenous—and pagan culture there is acknowledgment and reverence for the cardinal directions of north, south, east, and west, and also for the more subtle—and often overlooked directions of the above, the below and the center. These places of power hold this world together in a very special way, and can help to guide you through your life with their unique qualities and wisdom. Before I perform ritual, I like to call in, or call upon the directions as helpful, wise beings, sentinels and guardians, who lovingly offer me protection, support and wisdom. I call upon them using a form of prayer that is called invocation, which comes from the word ‘invoke’, and means to summon, or call forth. 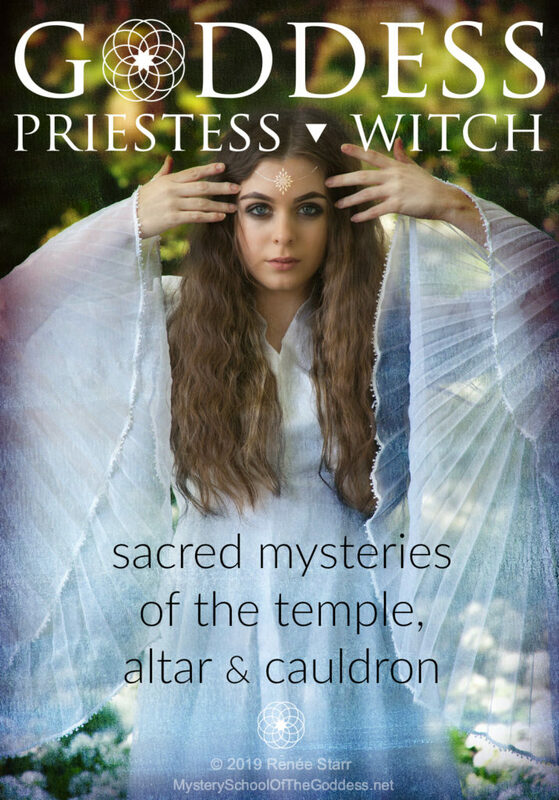 Whenever you call upon The Goddess, the Priestess, the Witch, The Divine, an angel, your ancestors or an ascended Master, you are using invocation. Below I have listed some of the associations for the seven sacred directions, so that you can begin to form a relationship with them. Ways to deepen this relationship are to make offerings of prayer, music, song, dance, and incense while facing each direction, and to acknowledge their qualities as guidance and also to recognize when they are making themselves known to you, such as when The West catches your eye with a gorgeous sunset, or when The East wakes you at dawn with the bright rays of the sun. 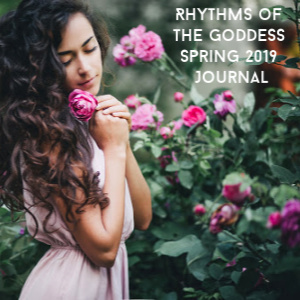 You may also feel called to work with the directions by exploring some of the many cultural practices, such as the Native American Medicine Wheel, the Wiccan Guardians of The Watchtower tradition, or by studying their correlation to the chakras. 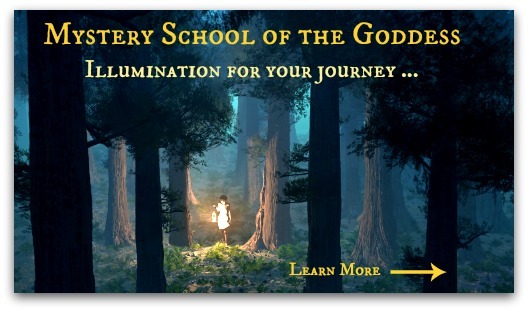 Below I have listed some of the qualities of each of the directions, and however you choose to enter into relationship with the sacred directions, I encourage you to welcome and honor them as special guests, wise counselors and helpful teachers whenever you perform magic, ritual, ceremony, and when you are creating sacred space. Enroll before February 10th for special offers and discounts! 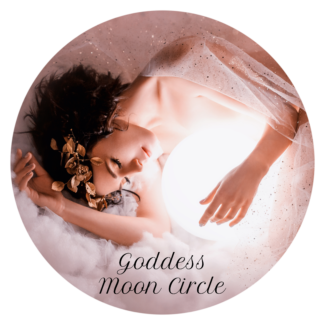 Renée Starr is an multi-award winning author, 9 Moons Lunar Priestess, wild witch, Goddess devotee, and seeker of ancient wisdom for the modern woman. 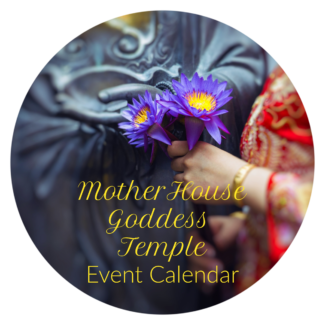 She offers her book, 'You Are Woman, You Are Divine", as a guide for the modern woman's journey back to The Goddess, along with her many classes, workshops, and a variety of retreats. Renée's Website: www.GoddessPriestessWitch.com.